Do you have 15 minutes? How about 10? If 10 minutes is still too much, can you find 5 minutes in a day to speak for vaping? 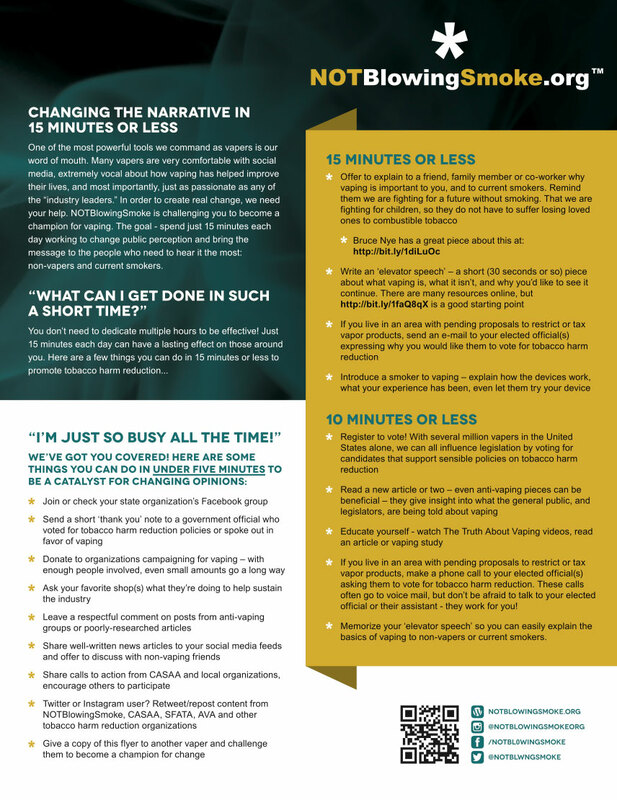 This flyer outlines a number of actions you can take in 15 minutes or less each day that will have a positive impact. As with the HR2058 flyer, we absolutely encourage sharing, printing and distribution of this document. Have suggestions for future revisions or additions? Drop us a line via the contact page.